Welcome to Smart Gift List! 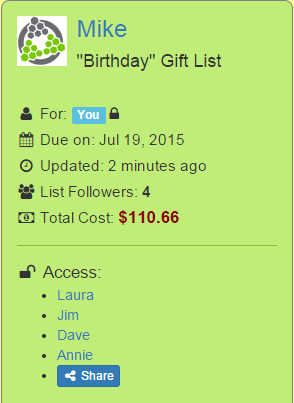 Create as many gift wish lists as you want for Christmas, birthdays, or any other occasion you can think of. 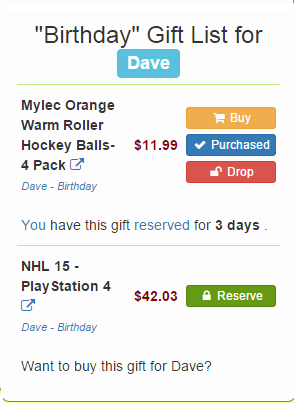 You can even make gift lists for your kids too! See a gift on someone's gift list that you want to buy for them? 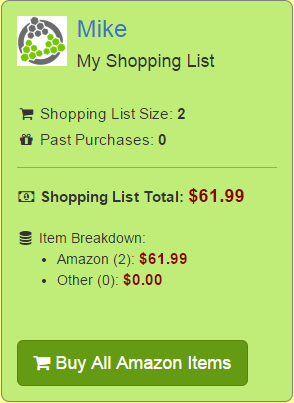 You can reserve it so that nobody else will buy it for them without the list owner knowing about it. Conveniently purchase the items you have reserved on your family and friends' gift lists directly from Amazon with just the click of a button in your shopping cart! My family used to have a long running joke of regifting the previous year's Christmas gifts to each other since we all ended up with unwanted or duplicate gifts. Not anymore! We all use Smart Gift List now and we all just reserve the gifts on each other's online lists that we want to buy for each other and we all end up getting the perfect gifts. We love Smart Gift List! Try out Smart Gift List today, we're sure you are going to love it!